Hello everyone, it’s Friday 10th of March and just like every week we’re back again with the weekly tech news roundup. This week’s news roundup has a lot of pieces from Google and Facebook. Let’s check out the list. This week’s news will cover, Google acquiring the Data Science startup Kaggle, Mozilla acquires Paper, Facebook launches its first VR app dubbed Facebook 360, Google updates Drive with new features, Google’s answer to Slack with their new tool and Facebook’s latest clone of Snapchat. There’s a lot of news to cover so let’s get right into it. In it’s 18 years of existence, Google has switched from a Search Engine to a company with branches in every field of technology. They revolutionized search and how information is aggregated, they turned Android into a platform for the masses and built things like Google Maps and Gmail, which are impossible to live without these days. Another are where Google has pioneered is Machine Learning, the sheer amount of data that Google has been sitting on made it a no-brainer for Google to drive into the lane of AI and machine learning. Speaking quantitatively, Google had the best short at AI because of the amount of data it processes each day. Recent innovations by Google in the field of Machine learning has been seen with AlphaGo and Google Assistant. It’s pretty obvious that Google is here to stay in the game. Machine learning enthusiasts and professionals are no strangers to Kaggle, the startup that hosts Machine Learning and Data Science contests online. 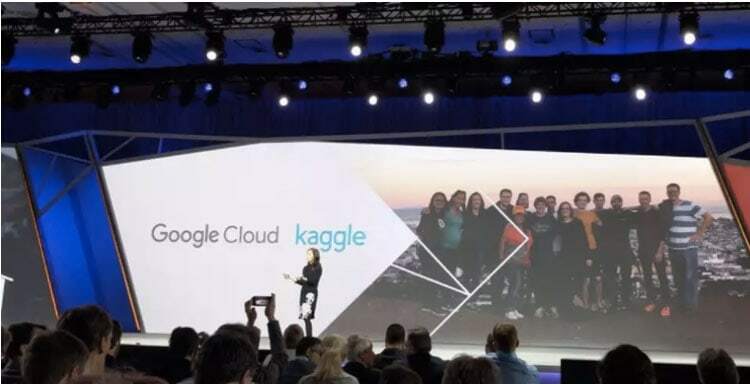 This week at the Cloud Next Conference Google announced that it is acquiring Kaggle. While the terms of the acquisition remain undisclosed, it’s pretty obvious why Google did so. There are hundreds of thousands of data scientists on the platform, it will help Google broaden its reach in the data science community. Google is already pretty popular in the machine learning community thanks to projects like TensorFlow. The acquisition may also help Google in hiring the best minds in the world to work on problems that Google is trying to solve at scale. You can read more on the acquisition on this blog post by Kaggle. If you spend a significant chunk of your daily time on the internet then you are no stranger to Pocket. It’s like the DVR of the internet. Anything and everything you want to save to glance at later, you simply send it over to pocket and it takes care of archiving it for you. Let’s give you a little history lesson about Pocket. It started off as a Firefox extension before expanding and building tools for almost every major platform. In fact, Pocket has been Firefox’s default read it later service since 2015. This week Mozilla acquired Pocket for an undisclosed amount. This sort of like a homecoming for Pocket because Firefox was where Pocket was born. The app or extension (depends on what you want to call it) sees around 10 million monthly active users and brings a good set of potential businesses, new to Mozilla which includes but isn’t limited to advertising, premium subscription services, analytics and much more. This acquisition is critical to Mozilla because unlike Mozilla’s current mobile offerings, people actually seem to enjoy Pocket. And this may help Mozilla revive its mobile efforts at least after the sad demise of their Firefox OS which turned out to be a complete disaster. Pocket had raised $14.5 million from investors like Google Ventures and Axel Springer Digital Ventures. Its 25 person team will continue to work independently from their base in San Francisco. 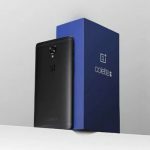 And the company plans to keep the product intact and assures that no major changes are coming to its product anytime soon. Facebook started off as a social network but they’ve slowly redefined social interaction and how our friend circle communicate. Across all major platforms, Facebook apps (which include Messenger, WhatsApp, Instagram and the main Facebook app itself) are on the top charts. Facebook tackles traffic and problems at scale which most companies don’t. Facebook isn’t just restricted to being a social tool for communication, they’ve already predicted the future of communication and content consumption, and it’s Virtual Reality and Augmented Reality. They’re investing heavily into such technologies via the Oculus platform so that they are the first ones to get there while others play catch up. Facebook recently scooped a big hire with Hugo Barra who will lead the company’s VR efforts. Till now Facebook as a company was only working towards building a platform for VR with the Oculus team but this week they released their first VR app. It’s called Facebook 360 and it’s exclusive to the Samsung Gear VR. It’s not a full-blown app for the social network but it will show you 360 photos and videos from your timeline and feed. This would also include a more general feed of media companies and selected individuals. You’ll able to post reactions. Till now Facebook as a company was only working towards building a platform for VR with the Oculus team but this week they released their first VR app. It’s called Facebook 360 and it’s exclusive to the Samsung Gear VR. It’s not a full-blown app for the social network but it will show you 360 photos and videos from your timeline and feed. This would also include a more general feed of media companies and selected individuals. You’ll able to post reactions too and more social features are incoming for the app. To be honest this isn’t a completely new option. 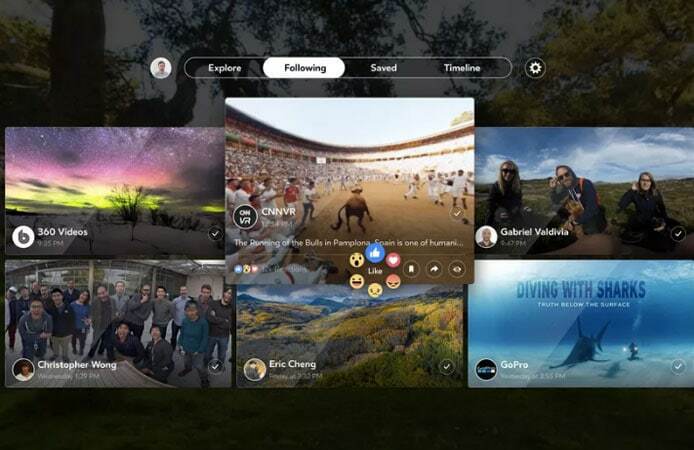 Facebook 360 degree videos have been appearing on the Gear VR’s video app lately and you can already log in and post reactions but Facebook hadn’t really released anything so far which could be constructed as a version for virtual reality. Google Drive is a productivity tool for anyone’s arsenal of applications. It takes the load of emailing files to oneself and puts it in an elegant solution for users with loads of features. The last time Drive was updated was when Google had started bringing Material Design to all of their products. This week saw some major changes to the tool after the redesign. 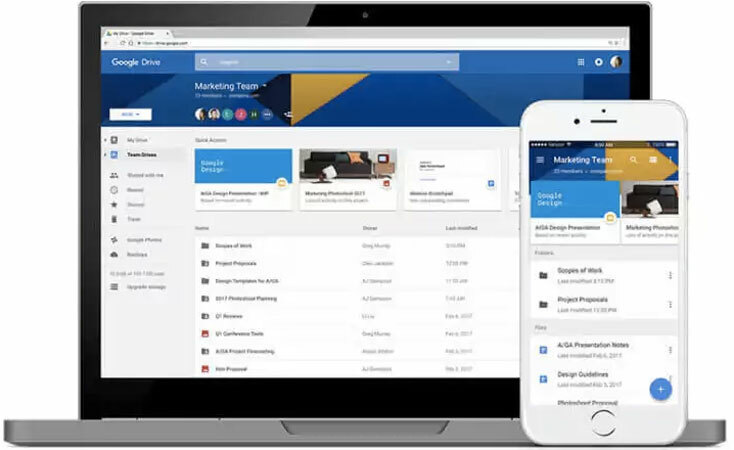 At the Cloud Next conference Google announced several updates for Google Drive. The biggest one happens to be one called Drive File Stream that will make your entire Drive show up on your Mac or Windows machine but not put it all on your hard drive. It will select your files in a smart manner so that without syncing your entire Drive. You will however still be able to select files and folder to sync specifically. Google is also expanding it’s availalbility of Quick Access, a feature that shows the documents that Google thinks you might be looking for instead of slapping a carousel for your files on your face. Google also acquired AppBridge, a startup based in Vancouver which allows the migration of your data to the cloud, specifically Google’s cloud. Google also announced the add-on framework for Gmail that will allow developers to build add ons for Docs and Sheets. Head over to this piece by VentureBeat that covers everything else that was announced for Google Drive at the Cloud Next conference. Slack has been receiving a lot of heat lately by companies which have finally started realizing Slack’s potential. Microsoft already ripped off Slack completely into an in-house product called Teams and released it as a part of Office 365 suite. Apps like Flock from India are already trying to grab a bite off Slack’s market share. This week Slack got a new competitor and probably their biggest one yet, it’s Google and they’re gunning down Slack with what they are calling Hangouts Chat. Back during Google I/O 2016 when Google announced Allo as a new messaging app, most of us wondered what about Hangouts? Will Google discontinue it? Well, we have the answer now. The app is available in private beta as of now and it bends private rooms for conversations and integrations not only with G Suite but also third party services. 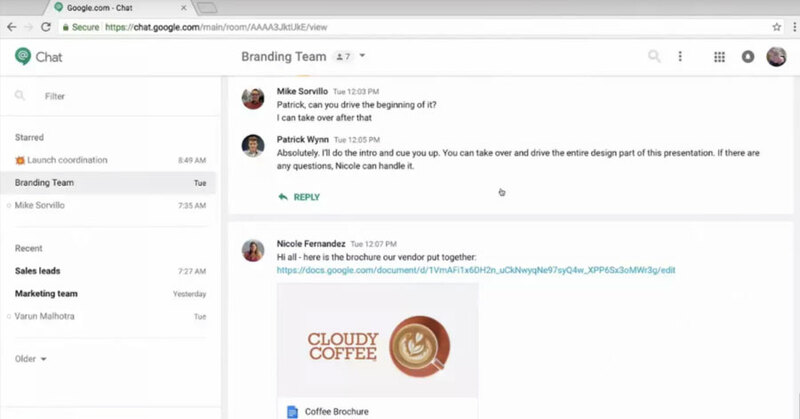 Hangouts Chat is a free service and will come as a part of your G Suite subscription and will help Google appeal to the enterprise customer. At launch, there are 11 integrations available namely, Prosperworks, Box, Zendesk, Asana, Polly.ai, Freshdesk, Zapier, Zenefits, Xero, Smartsheets, and Intuit. No more is Hangouts a tool just for video conversations, it’s now about collaboration and much more. Facebook has ripped off Snapchat so many times that it’s no longer news. 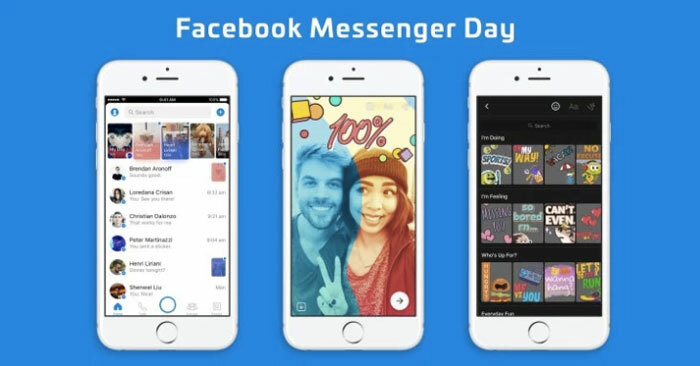 This week Facebook launched Messenger Day as a spin-off of Snapchat Stories. The service lets you share with the public or a friend, decorated photos and videos that disappear after 24 hours (cough Snapchat feature). If it does manage to gain the traction, it will encourage visual communication through Messenger and it’s newly enhanced camera. Along with WhatsApp Status, Instagram Stories, and Facebook Stories, Messenger Day could use the convenience of Messenger’s already large user base to compete with Snapchat. Messenger Day will appear above your chat threads on Messenger home screen employing a bold design. You’ll see thumbnail tiles previewing the Days of Friends instead of just a name and profile picture. Nice information. Keep it up. This is the best information to know for everyone. Great article with latest updates. Hello, very nice and wonderfull article. Thanks for sharing about social media platforms. Good work, keep it up. Good post with updates.